Colonial Transportation offers Long Island coach bus rentals, private Long Island bus rentals, Long Island coach bus service, Long Island bus rental service. Colonial Transportation’s extensive fleet of vehicles also includes top of the line Long Island bus rentals – perfect for getting guests to and from weddings and special occasions. No matter what the size of your group, Colonial Transportation has a Long Island bus rental to accommodate your party – from their clean and spacious 14 seat bus, to the luxurious 35 passenger bus that comes equipped with TVs and restrooms on board, with additional sizes in between. If you’re transporting a large party, let Colonial Transportation take the hassle out of your journey – their professional drivers can provide parties of almost any size with a comfortable ride that will get you where you need to go safely, and on time. Reserve your Long Island bus rental today. Trying to organize a trip for a large group of people can prove rather problematic, especially when it comes to transportation. Trains and public buses only run on set paths and schedules, and attempting to keep a cavalcade of sedans, vans, trucks, and SUV’s in tow can result in drivers getting lost and separated from the rest of the pack. 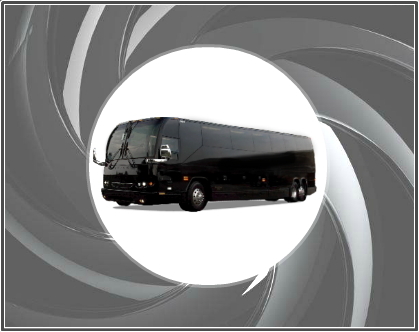 Thankfully, we have transportation services to turn to that can arrange a private Long Island bus rental to pick up your whole party and safely bring everyone to your destination without the risk of a few stragglers getting left behind. You can make your trip an easy one by chartering a ride for yourself and all your guests.